Liberation from detention centers today! 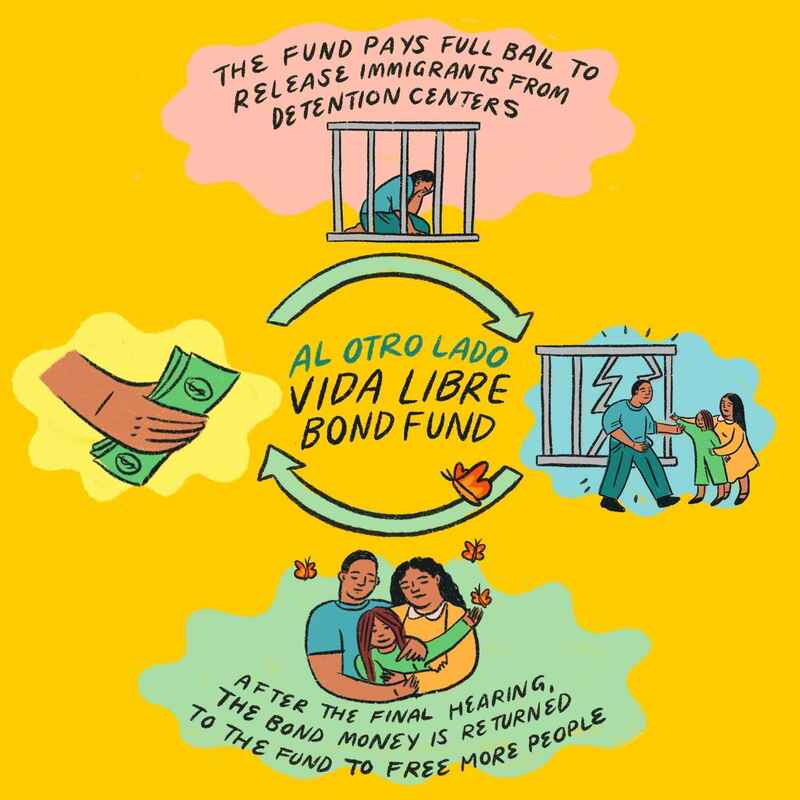 Al Otro Lado(AOL) is building a revolving fund for asylum seekers, migrants, refugees and detainees to fight for the dignity of those in sitting in ICE detention centers. Our clients in detention centers are unable to pay the steep cost of bond. AOL's revolving bond fund will be critical to prevent unjust detainment and combat racial and economic disparities in the bond system for migrants, asylum seekers, and families across our network. For clients and migrants today, bonds are set in a completely arbitrary manner and the conditions faced in detention are horrendous and dehumanizing. For many asylum seekers, bonds are set anywhere between $5,000-$15,000. Posting for bond is ultimately the only way to buy their freedom which is completely out of reach for almost all of the families we support. We believe that no one should have to suffer the cruelties of ICE detention simply because they are unable to afford their bond. Because bond is returned at the end of a case, donations to the Dignity Release Bond Fund can be recycled and reused to pay bond for other migrants and asylum seekers, maximizing the impact of every dollar. Once our clients' meets all legal obligations in their immigration process, their bond can be refunded, and that money goes back into to the AOL Bond Fund to help free more people! In the name of the King. In the name of the current Presidential administration. For the border rights project. This is at least something I can do to help. Thank you for the opportunity to contribute! To those whose lives have already been torn asunder, you now have the support of friends in the U.S. Families deserve to be together. "Hoy lo hago por ellos, ayer alguien lo hiso por mi"